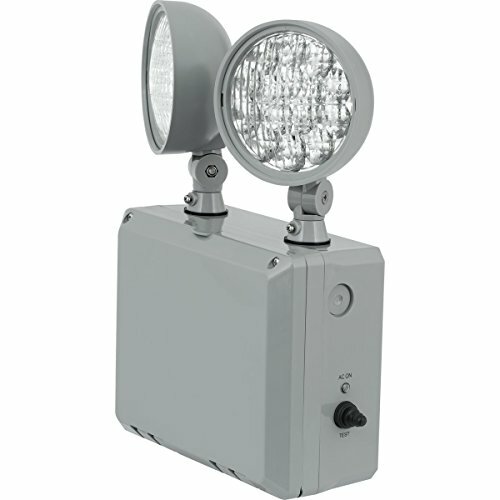 The PE2WL offers LED performance and value with a compact and attractive wet location LED based emergency light. The grey housing is made of corrosion resistant UV stabilized polycarbonate. Lamp-head consists of metalized high-performance reflector and 15 ultra-bright LED's with tempered glass lens. Includes external mounting brackets for ease of installation. The PE2WL has adequate capacity to run 1 each PEWLH double head or 2 PEWLH single-head remotes at 9.6 VDC for 90 minutes. If you have any questions about this product by Progress Commercial, contact us by completing and submitting the form below. If you are looking for a specif part number, please include it with your message.